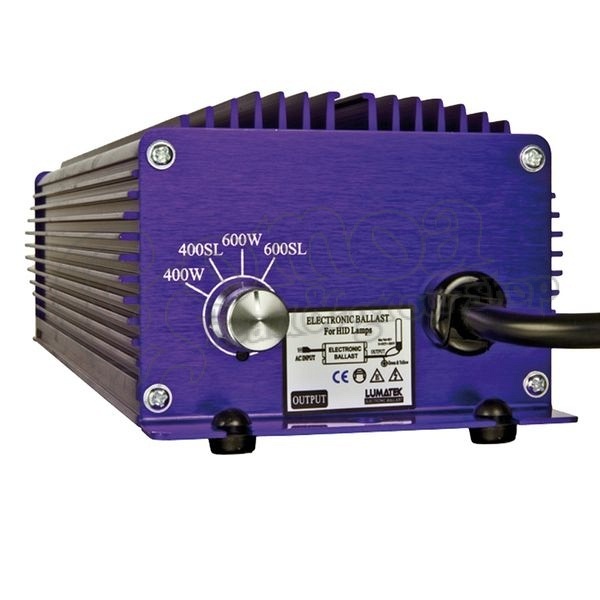 The market's most popular and best digital ballast. The Lumatek eballast is a performance leader. Dimmable. Allows light brightness to be turned down, or turned up to the Super Lumens setting. Multi-Wattage (read instructions before use). Ballast powers a 1000 watt, 750 watt, or 600 watt bulb. Operate both metal halide (MH) and high pressure sodium (HPS) lamps. No changes are required. Up to 20% MORE LUMENS; faster growth, bigger harvests. Unique graduated fin design for more efficient cooling. No cooling fan necessary means fewer moving parts. 3 years full + 2 years no hassle warranty. Internal resin coating protects components for a long life. External breaker system protects against power surges. Cuts off when a short is detected. For ultimate safety. Comes with your choice of reflector plug style. Not sure which you need, view compatibility chart. Does not include 240V Power cord. Does include a 120V power coord. sources Lumateks from several suppliers so they are always in stock, and each supplier uses their own slightly different box. They are all the same ballast inside the box. More Lumen Output - Up to 20% more lumens output than some old style magnetic ballasts ...More light equals more yield. We urge you to test this yourself with a good quality light meter. 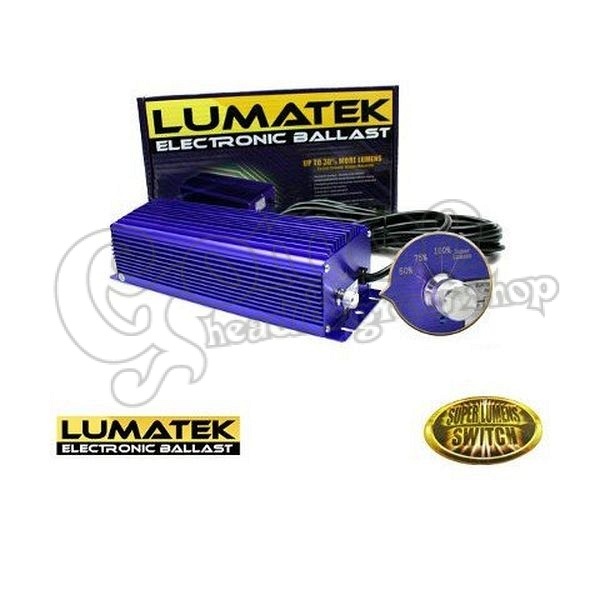 Be sure to also check how much power the ballast is using with an ammeter as many so called 600w magnetic ballasts now draw up to 750w as standard to try to keep up with Lumatek’s lumen output. Stable Light Output - Excellent for Pharmaceutical-agriculture, laboratories and other uses where precise regularized output is essential. Fast Start-up - It reaches full brightness in under one minute; magnetic ballasts typically take about twenty minutes. 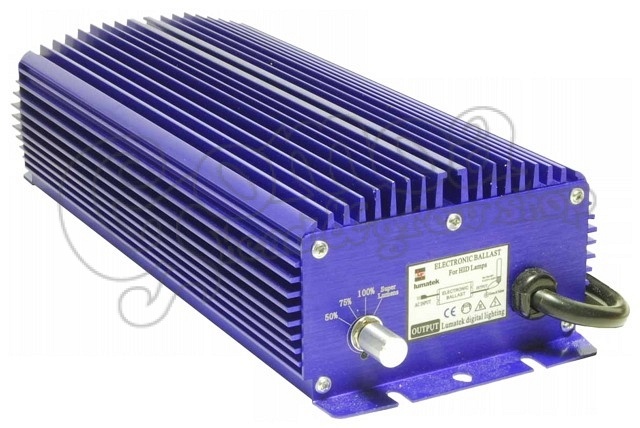 Produce Less Heat - Less heat generated by the ballasts allows cooler running of the environment. Less heat is less wasted electricity. Longer Bulb Life - Lumen output loss over time, with the correct lamp, is dramatically less than with magnetic ballasts.